Formerly Alliance Marine, Male' - Maldives Ships Agent. Now providing travel lift (150t and 25ft width), repair yard, including electric and water, and transportation. Plans are in the works to add a marina. Also offers all the tourism services of touring options and packages, such as hotel and resort Island bookings, Safaris, Yachts Charters Packages, Diving, Surfing and Fishing. SSCA MEMBERS RECEIVE 15% DISCOUNT ON YACHT CHARTERS. Repmaritima Boatyard is a new boatyard, located beneath the airport runway in Madeira. SSCA members receive a discount on land storage of their yacht. We have prepared a package with attractive rates for 3 months and 6 months storage. This boatyard is part of the Quinta do Lorde Marinas & Boatyards groups, which offers SSCA MEMBERS A 20% DISCOUNT. 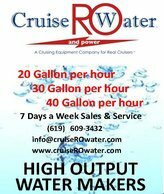 A full service marina and hurricane hole with 347 wet slips and space available for 100+ in dry storage, only 400’ from downtown Brunswick, GA. Most of the restaurants offer a 10% discount for Brunswick Landing Marina customers. Very active live-aboard community, some of the lowest diesel and transient prices on the East Coast and an attached boatyard with a 50-ton travel able to satisfy any maintenance needs. In Kemer, Turkey. Formerly Park Kemer Marina and home of the EMYR Rally for 17 years! NOW OFFERING SSCA MEMBERS A 5% DISCOUNT ON MOORING CHARGES. In Algarve, Portugal. Marina de Lagos is offering a special discount of 5% on berth prices to SSCA'ers. The discount is applicable to high and middle season prices, excluding nine-month contracts. Payments must be made by cash, Portuguese check or bank transfer. Marina di Cala del Sole in Licata, Sicily welcomes SSCA members! Safe docks, exceptional service, restaurants, pizzerias, ice cream shop, ship chandler, the Village "Federico II" with private beach, car rental, self-service laundry and more. The attached shopping mall has 27 stores, including a Supermarket and a Cinema. Many boaters from all over the world choose Marina di Cala del Sole as a winter or annual base thanks to its central location in the Med, the high quality of service, the outstanding professionalism of the shipyard, and the proximity to the old town of Licata. SSCA members receive a discount. Sardinia - contact Mr. Enrico Deplano, email marinasantelmo@gmail.com. SSCA Members may request a 5% discount. The marina is located at: 18°25.50N 69°36.67W on the south shore of the Dominican Republic (Island of Hispaniola). Offers SSCA Members a 10% discount. Mersin Marina is the youngest marina on the Mediterranean coast of Turkey. The marina has the capacity for 500 yachts in the water and 500 yachts on the land. WE OFFER %10 DISCOUNT TO SSCA MEMBERS.Contact us for details. Is located on the east side of City Island, which is located in the Bronx, one of the five New York City boroughs. Minneford Marina offers SSCA Members a 10% discount. Only a few hundred feet west of the ICW just north of the Morehead City, North Carolina causeway bridge, the Calico Creek deep water channel leads to a well-protected basin dredged to a depth of 10-13' at mean low water. The Morehead City Yacht Basin has recently undergone a 4.5 million dollar renovation to be the premier yachting facility on the crystal coast. SSCA MEMBERS ARE OFFERED A DISCOUNTED TRANSIENT DOCKAGE RATE OF $1.80/FT. INSTEAD OF OUR NORMAL $2.00/FT., AS WELL AS A DISCOUNTED FUEL BENEFIT OF $.08 PER GALLON OFF THE PUMP PRICE FOR BOTH GAS OR DIESEL. It is our pleasure to welcome SSCA members to Puerto Rico and all that this wonderful island offers. Special rates for SSCA Members at Sunbay and Isleta Marinas! Full service broker. Member YBAA (Yacht Brokers Association of America). CPYB Endorsed Brokerage Firm. Dealer for PACIFIC SEACRAFT. 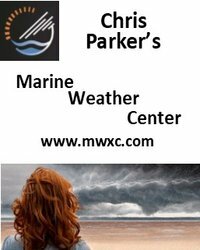 Free $200 SSCA Gift Certificate presented to any SSCA member who buys or sells a boat through Crusader Yacht Sales. Use it to pay your dues and buy some apparel. One per transaction. 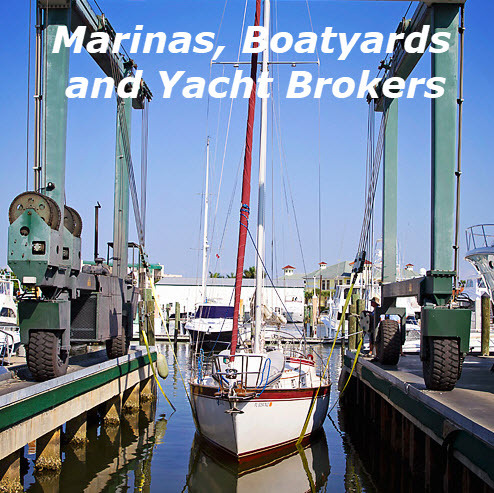 Edwards Yacht Sales is an independent yacht brokerage firm specializing in power and sail with a very strong background in trawlers, motor yachts and sailboats.